Most of us have the quality walking routine to stay healthy and fit. The daily walking routine not only offers the significant positive impact on our health but also increases the level of fitness and overall happiness. Here come the most useful tool Pedometers for walking that accurately track your every steps, miles, kilometers, as well as calories. Now what exactly the Pedometers are? 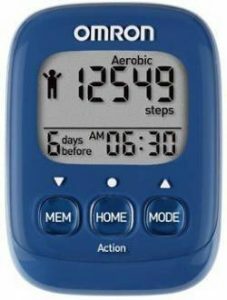 Pedometers are one of the most useful step counting gadgets that counts your every step by detecting your movement. This one gadget is a great way to measure your daily activity. When the pedometers were actually introduced, they were only used for measuring the footsteps. But the modern pedometers can do much more. You can easily calculate the aerobic and walking distances, your calories intake and expenditure, and some other advanced measurements with this useful gadget. 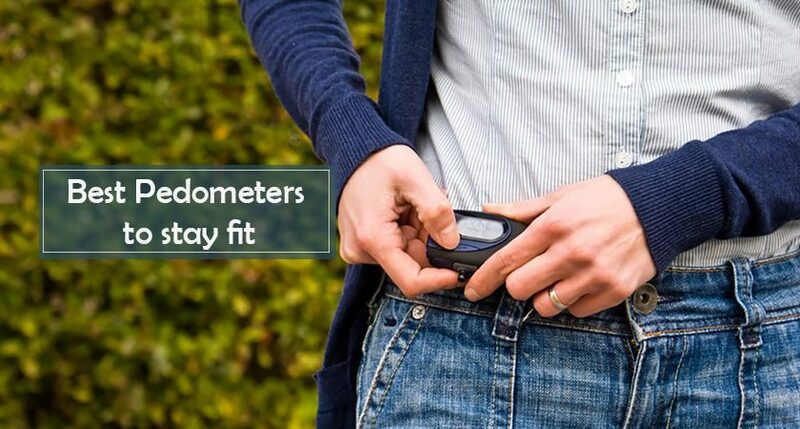 Pedometers are now becoming an integral part of many people’s daily exercise routines. But with so many popular step trackers available in the market, which pedometer is best is quite daunting. To help you out, we have compiled here the latest and modern pieces so that you have only the best one. Just have a quick look at our best picks of pedometers. Now, let’s have a look at the full review of each of our mentioned models to fairly decide which one suits your need. HealthSense PD 102 is one of the most advanced 3D pedometer watches that utilizes the latest generation in Tri-Axis technology to provide superior accuracy in any position. It keeps track of every step and also providing a Calorie Counter, Exercise timer, Daily Alarm, Speed, Distance, Timer, Stopwatch, and Backlight functions. This pedometer also utilizes a Digital 3D Acceleration Sensor which is far more accurate than mechanical sensors used in other pedometers. It comes with a delayed step counter feature that differentiates between the auxiliary movements and the actual steps. This feature provides the users with the most accurate results. The Omron HJ-325 Pedometer is featuring an advanced 3D Smart Sensor Technology, and so it knows exactly when you are taking a step. It also has four activity modes to track steps, calories, and distance. This pedometer uses the tri-axis technology to count more accurately and quietly. It comes with a weekly log to store data for seven days in the memory so that you can keep track of your regular activities to reach your fitness goals. The Fitbit Zip Activity tracker is one of the best wireless activity trackers that tracks your all-day activity including the steps taken, distance covered as well as the calories burned. Its wireless syncing feature lets you sync your daily stats to your computer and more than two hundred leading devices, and shows your progress in easy to read charts and graphs. You can easily see your daily stats and time of day by just simply tapping the display. Whether online or through the Fitbit pedometer app, you can set your goals and stay motivated to keep on your path of fitness with graphs, badges, and friendly competitions. The next comes again a model from the brand Omron. 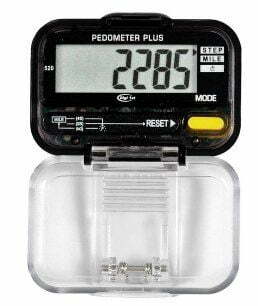 When it comes to the best pedometer for walking, this device never fails to offer you great performance at the most reasonable price. This pedometer lets you live a healthy and active lifestyle. You can easily track your progress continually in a more organized way using this pedometer. The device comes with the advanced functionalities including workout jogging mode and weekly diet support that allow the users to set weight reduction target to lose in a prescribed time phase. Plus, it is featured with average pace calculator, fat burnt and calorie meter, distance traveled, steps taken as well as time. The best is its slim and lightweight construction making the device convenient to carry along with you. Moreover, its large LCD display with backlight ensures the easy readability of the measures even in the dark also. 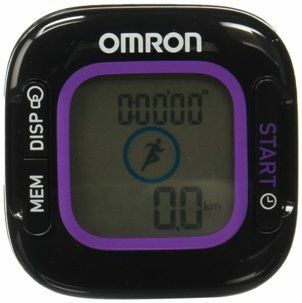 The Omron HJ-321 is another best pedometers for walking. 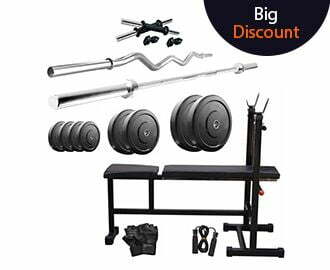 This one is specially designed for power walking and aerobic exercise. The device counts your moderate steps separately from your normal walking steps. It can also count the distance traveled and time taken and thus giving you more information about your all activity level. This pedometer is featured with an advanced accelerometer technology that helps in counting every step accurately, whether the device is positioned flat, or even in vertical or horizontal position. The device comes with the memory of 7 days that lets you access the previous data to review your statistics. Plus the sleek design of this functional pocket pedometer allows you to carry it anywhere. This sleek, small and feature-packed pedometer is a must-have device for those who wish to keep an ongoing count of steps through their daily hectic schedules. It comes with a silent 3D motion sensor that records daily steps of walking or running, distance traveled, calories burned, and activity duration. The device works accurately whether it is placed horizontally or vertically. It comes with a large dual LCD screen that makes the readability of stats very clear. Also, it has the memory of 30 days, means you can record the stats of 30 days of your daily activity for future use. This is not just a pedometer but comes with much more functions too. The device is featured to offer sleep monitoring, step count monitoring, calorie consumption monitoring, distance display, speed display, all-day activity tracking, etc. It automatically tracks the real-time heart rate, sleep duration and consistency with the comprehensive analysis of sleep quality data so that you can adjust yourself for a healthier lifestyle. The device also comes with the fourteen exercise modes that make you understand better the specific activity data. And the connected GPS tracking can show run stats like pace and distance and record a map of your workout route. The device is compatible with Veryfit Pro app and Bluetooth 4.0. It has a 0.96 -inch TFT LCD color screen making readability of the stats easier. 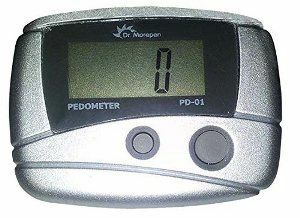 It is also one of the best pedometers for walking from the most trusted health brand Dr. Morepen. This smart device is specially designed for power walking and aerobic exercise. It can easily count the steps taken, distance covered, and calories burned on the basis of whether the user is walking or running. Its slim and lightweight construction makes it convenient to carry anywhere along with you. Even it can easily fits on your belt and waistband. Here comes the next best and smart choice for the pedometers for walking from the brand Digi 1st. With such an affordable price point and improved activity tracking functions, this walking pedometer is an ideal choice for various fitness programs. The device accurately tracks your steps, time taken and distance covered. Besides, it also records exercising time for walking and distance traveled in miles. It comes with a durable belt clip that you can tuck it in your belt while walking or running for tracking the stats. Moreover, its slim fit case, larger LCD display, and smart design make it the best choice for all your fitness tracking needs. The JSB HF 18 Pedometer is an effective gadget to keep a tab on your every step count. Get this 3D pedometer and keep monitoring your health and habit. With a large and clear screen display and an ultra slim design, this device is very convenient to use and gives you the most accurate results for all your steps taken, distance covered, and calories burnt. The main technological piece through which a pedometer works is an accelerometer. This mechanism can be used to sense the forward, backward as well as side-to-side steps. And whenever you take a step, the accelerometer senses the movement in the same way likewise you sense a movement in a moving car. The accelerometers determine the force and direction you move and give you the information into steps, speed, distance and active minutes. It is very much important to consider which type of pedometer you want. Whether you need a basic step counter device or need a more feature packed fitness tracker. 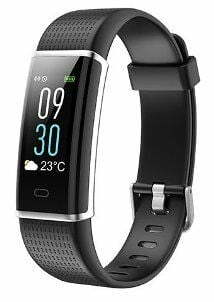 The smart fitness tracker comes with capabilities like sports and sleep tracking as well as heart-rate monitoring. They can also upload the data they record to apps and websites so that you can monitor your progress over time. So the choice depends on you. Pedometers come in various designs so you can choose the most convenient one according to your fitness preferences. 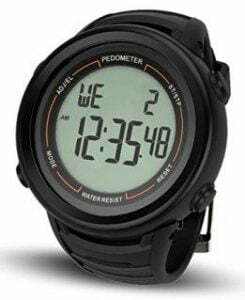 The most popular types of pedometers are wrist-style watches and clip-style counters that you can attach to your clothing. Pedometers also have a waterproof or water resistant feature. So, if you have regular swimming routine, you can choose a water-resistant pedometer. It is also very important to consider how you want to interact with your pedometer. For this, you have both the display screen and no screen choices. Pedometers with display screen enable you to view your stats whereas no screen and a connected app pedometers enable you to view your daily totals. If you want instant feedback, Pedometers with the screen are very useful. On the other hand bracelet style devices without screens are easier and more fashionable to wear. Also check for the battery life of the pedometer and typically which kind of battery it comes with. Most of the pedometers for walking come with the replaceable battery or rechargeable battery. Most of the advanced pedometers come with the log feature allowing you to see your progress. It can record your stats in its memory that you can use further to reach your fitness goals. This is all about the best pedometers for walking to stay fit and healthy. We all know that being healthy and fit is one of the great experiences. And for this, you need a health gadget as your companion to actively watch your every move. For serving this purpose, pedometers are devised. And I am sure the above-mentioned pedometers in the blog will surely help you in picking out the best piece.